Let’s face it, we all need a good nights sleep. Sleep plays an essential role in our health and helps supports our immune function, metabolism, memory, learning and other vital functions. But according to the National Sleep Foundation, up to 70 million Americans are affected by sleep issues. And in the UK, sleep issues in children are dramatically on the rise. 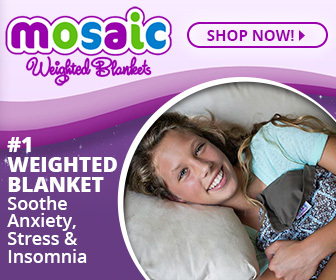 So if you or your child suffer from insomnia, or struggle to drift off at night due to anxiety, you may find the answer to an improved nights sleep in a weighted blanket. More and more children and adults are turning to the therapeutic benefits of weighted blankets to help them get better quality sleep, as well as reduce symptoms of anxiety, autism and sensory processing disorders. 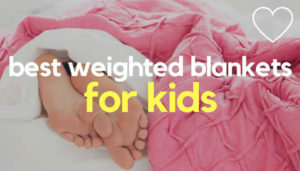 But how do weighed blankets work and how do you choose the right one for you or your child’s specific needs? 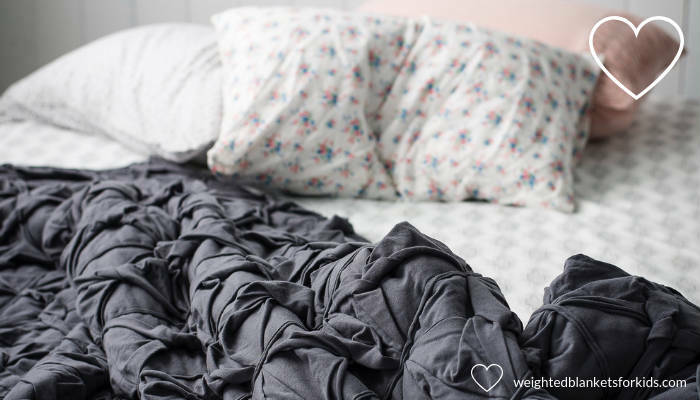 What is a weighted blanket and how do they work? Heavier than a regular blanket, a weighted blanket contains weighted beads or poly pellets, which apply gentle pressure, or deep touch stimulation (DTP), on the user. This gentle ‘hug like’ pressure encourages the brain to naturally release neurotransmitters like serotonin and dopamine – chemicals linked with relaxation and sleep regulation. You can read more about the science behind weighted blankets here. a range of other conditions from dementia to Fibromyalgia and OCD. It’s important to get a weighted blanket that’s in line with your size and weight, so it’s not too heavy. 10% of the ideal body weight. You can read more about what size weighted blanket to get here. Here are some common uses of weighted blankets to help you decide whether a weighted blanket may be of help to you, or your child, for a specific need. Each category includes links to recommended and popular weighted blankets, which you can buy online. In more everyday terms, this essentially means the gentle pressure of a weighted blanket may help calm the nervous system through stimulating the release of hormones that help regulate better sleep. Many parents have indeed found this to be the case, some referring to the effects of a weighted blanket as ‘a game-changer’. Here are some popular weighted blankets for children who can’t sleep. Children (and adults) with autism are often found to be naturally deficient in serotonin and melatonin, hormones linked to well-being and sleep. Research suggests the gentle pressure of a weighted weighted blanket may help support the body to naturally release these hormones, which in turn may reduce anxiety and sleep issues in autistic children. Sensory autistic children may benefit from a tactile Minky Dot fabric blanket, whilst children who get hot easily may prefer a more breathable, 100% cotton option. Here are 5 weighted blankets for autistic children to try. Common symptoms of ADHD include restlessness and trouble sleeping. Over time, this can lead to sleep deprivation, as well as daytime sleepiness, which can actually exacerbate hyperactivity. The deep pressure touch stimulation of a weighted blankets may help children with ADHD to release the calming hormone serotonin, which naturally converts to the ‘sleep’ hormone melatonin. Weighted blankets and vests have also been used successfully in classroom environments to help ADHD children transition better from a high energy activity, to a lower key one. Here are 5 popular weighted blankets for kids that may help. A Sensory Processing Disorder (SPD) is a condition where the brain and nervous system have trouble processing information that comes in vis the senses. Often associated with autism and ADHD, it’s actually a stand alone condition, although it’s common for a child with autism to have a sensory processing disorder (or vice versa). A SPD can manifest as over or under responsiveness to a stimulation such as sound or touch. So children with an SPD, who are over sensitive to touch or noise, may find the stimulation of a weighted blanket too much, whereas those with an under sensitivity may benefit from a Minky Dot weighted blanket, which offers additional sensory input in the form of raised tactile dots. Harkla, and Mosaic Weighted Blankets both offer popular children’s blankets with tactile, fleece Minky Dot covers. Or for more choice, check out these 5 blankets for children. NB: If you live in the UK, you might want to check out Senso Rex blankets. Of course, weighted blankets aren’t only designed for kids. Teenagers and adults may benefit from them too. 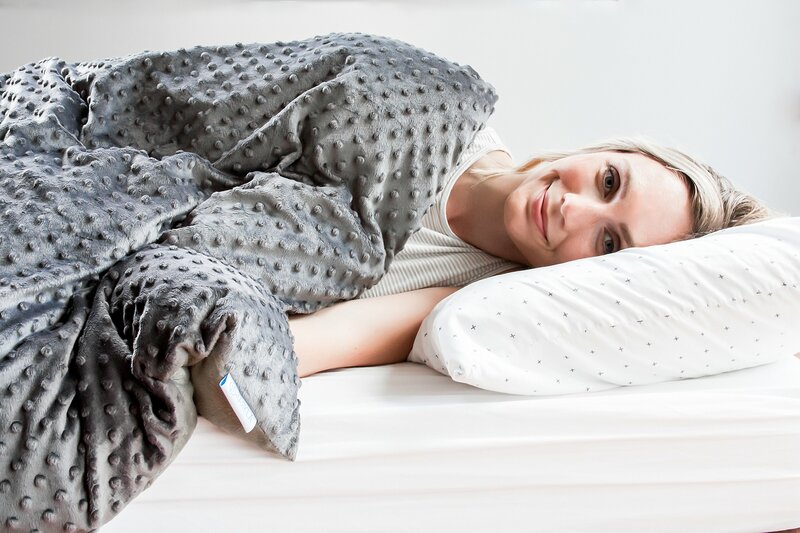 In fact, weighted blankets are becoming increasingly popular as a natural aid for sleep among teens and adults, which is perhaps not surprising if you consider that, ‘between 50 and 70 million Americans are affected by sleep issues’ (source). Increasingly common, stress and anxiety cause a rise in cortisol in the body. Often termed the ‘stress hormone’, cortisol stimulates the nervous system, which can make it more difficult to relax and sleep. encourage the brain to produce serotonin; a natural mood enhancer. Since serotonin also naturally converts to the ‘sleep hormone’, melatonin, many people with anxiety find that a weighted blanket helps them to both calm down and get a better night’s sleep. Here are some popular weighted blankets for adult with anxiety to try. 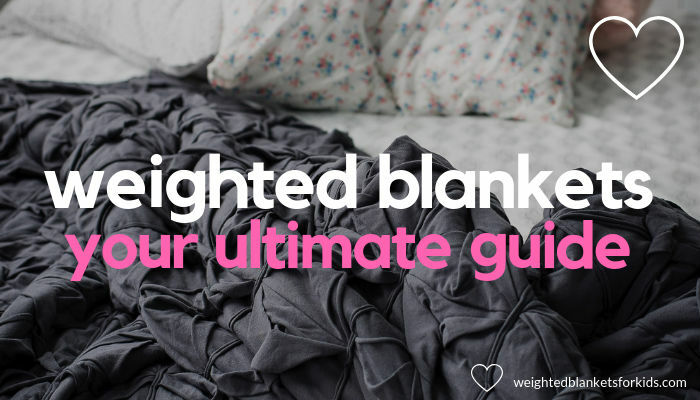 If you tend to heat up under the covers, suffer from hot flashes or live in a warm climate, a weighted blanket may not seem like the coolest option! A weighted blankets doesn’t have to make you hot though. Whilst some weighted blankets, depending on the fabrics used, may prove quite warm, others use materials specifically designed to wick heat away from the body, helping you to stay cool and sweat free. 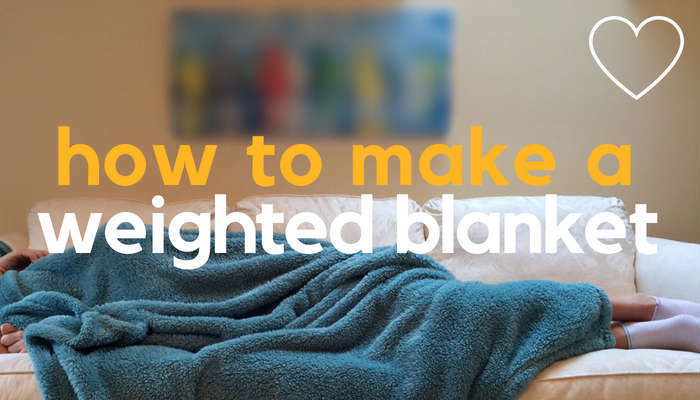 So if you’re prone to overheating, take a look at these 3 weighted blankets for hot sleepers. What About Affordable Weighted Blankets? Raised an eyebrow at the price tag on many weighted blankets? Due to the nature of how they’re made and their potential benefits, weighted blankets do generally cost more than your everyday blanket. Originally, weighted blankets also tended to be hand made (many still are), which can also be reflected in the price. But as weighted blankets have grown in popularity, they’ve also started to become more mass produced. Whilst this doesn’t have to mean lower quality, it can mean a lower price tag. Do Weighted Blankets Work For Everyone? Whilst many kids and adults have found weighted blankets an incredible (and natural) aid to sleep and relaxation, not everyone takes to them. We’re all unique, and whilst some children with autism, for example, love them, others find the extra weight too stimulating. The same applies for adults. So initially, borrowing a weighted blanket can be a good idea. 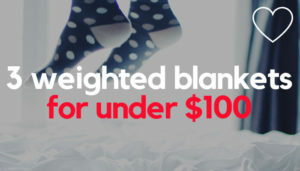 If this isn’t possible though, look for a weighted blanket that offers a 30 day money back guarantee (many do as long as the blanket remains in perfect condition). 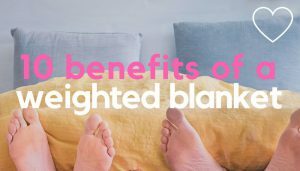 Keep in mind as well, that whilst many people experience every quick benefits from a weighted blanket, for others it can require a little more perseverance. If unsure, always consult a professional therapist or healthcare professional for advice. Are There Any Weighted Blankets Guidelines? 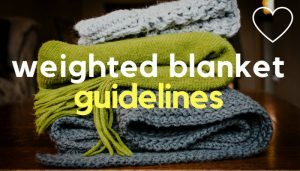 Whilst no ‘official’ standardised guidelines for weighted blankets exist, there are a number of generally accepted guidelines on the practical and safe use of weighted blankets. For example, most manufacturers stress that weighted blankets should never be used with babies, or toddlers under the age of 2, if you’re pregnant or by anyone who cannot safely move the blanket off their body independently. * Please keep in mind, these are intended as a GUIDE only. 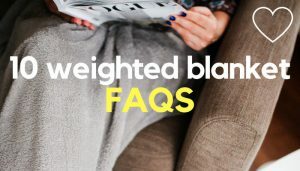 You should always use a weighted blanket in line with the manufacturer’s instructions and if unsure, seek advice from a registered therapist or healthcare professional. Weighted blankets may help you or your child relax and get a better nights sleep. and many more from OCD to dementia. If you are unsure whether a weighted blanket is right for you or your child, always seek advice from a registered therapist or healthcare professional.